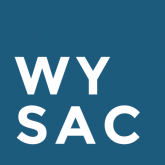 In 2017, economists at WYSAC completed a study of the value of prevention in Wyoming. This research began in 2012 when WYSAC was able to estimate the societal cost of alcohol in Wyoming at $843 million in 2010. Researchers also knew than since the prevention of underage drinking began in 2001, Wyoming communities have contributed to a 40% decrease in past month alcohol use by teenagers. Putting these together and using peer reviewed literature on delaying the onset of alcohol use, WYSAC estimates that, in 2014 alone, local efforts prevented 389 students from developing alcohol use disorders. This saves Wyoming $122 million over the lives of those individuals.